Imagine sharing your home with a housemate who raids your section of the fridge, frequently ‘borrows’ your things without telling you and doesn’t make any effort to clean or maintain the shared living space. A housemate who can well afford to pay their way – but doesn’t contribute their fair share towards the bills. That’s how putting up with tax dodgers feels. It leaves the vast majority of people, i.e. ordinary tax-payers, making up the shortfall left by those who can most afford to pay it but don’t. Tax dodging also hurts the most vulnerable in society who can’t access quality public services as a result. As details emerge from the Panama Papers exposé by the International Consortium of Investigative Journalists, a spotlight has been shone on tax dodging by wealthy individuals the world over. It’s the latest major investigation into tax dodging by the worldwide organisation of reporters following LuxLeaks in 2014 and Swissleaks last year. 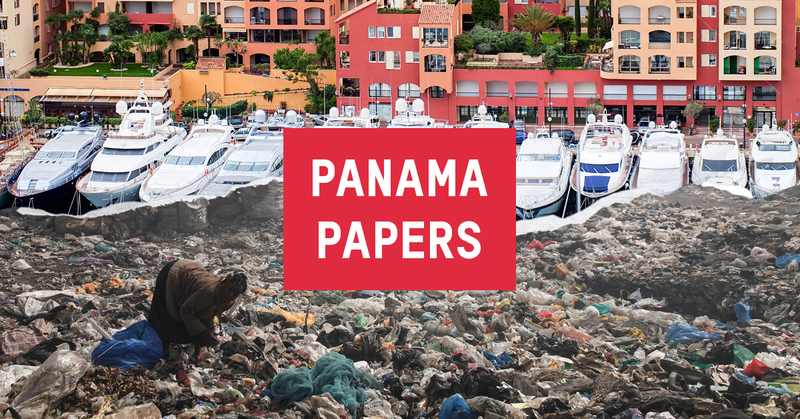 Panama Papers is a rare glimpse into a toxic global tax system where wealthy individuals, who in a progressive tax system should be paying the most in tax, have the biggest incentives to exploit this weak architecture to avoid paying their fair share. Their names are in the news. But the names of those most harmed by tax dodging are not. As long as tax dodging continues to drain government coffers the world over, there is a human cost with less to spend on vital public services and the resources needed to tackle poverty, put children in school and prevent citizens dying from lack of healthcare. Every single year, poor countries lose approx. €150 billion/£119 billion due to tax dodging by wealthy individuals and companies. 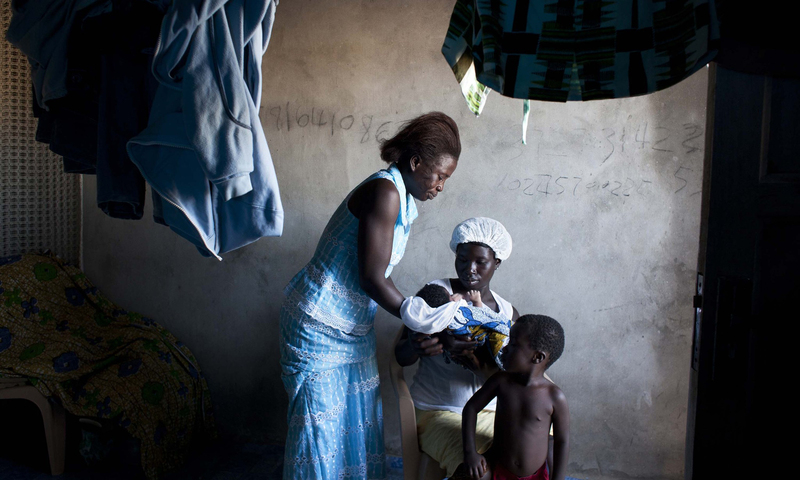 Outside a hospital in Malawi, parents and their babies sit on the ground in the long queues. Public health facilities in Malawi are free at the point of use, meaning they are not as regressive as is the case in many countries in Africa where fees are charged (making them out of reach for the poorest). But persistent shortages of medicines and staff mean that these facilities often provide a very poor quality service, despite the best efforts of their few heroic health workers. “As a nurse, I love my job and I love helping people,” says Vitumbiko Mhango who works at the Kamuzu Central Hospital and Bwaila maternity clinic. 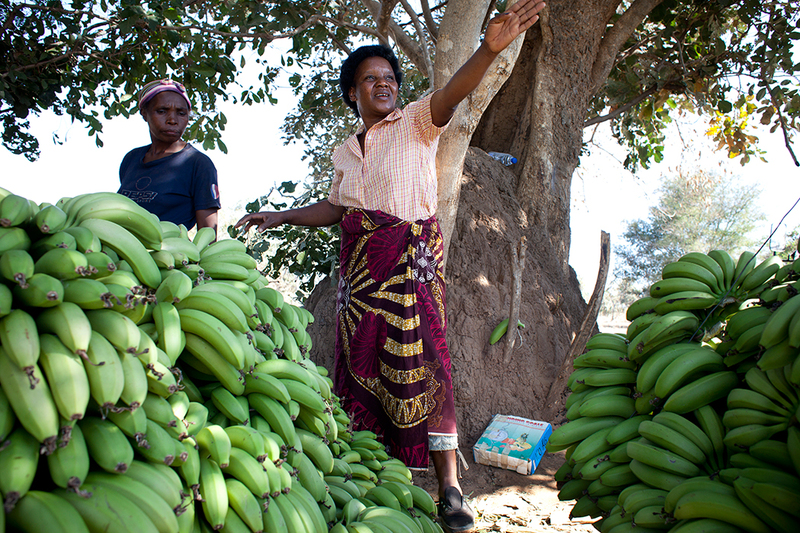 Malawi has experienced rapid economic growth in recent years, but the gains of this growth have not been spread evenly and the gap between rich and poor has widened at an alarming pace. 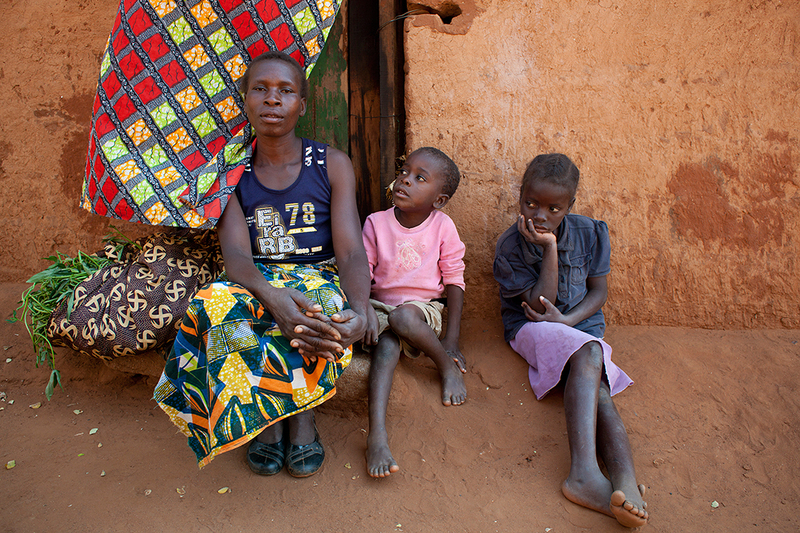 Today, half of all Malawians live in poverty. We have calculated that the lost tax revenue from the money revealed to be held by Malawians in HSBC accounts in Geneva – as revealed by the International Consortium of Investigative Journalists in their SwissLeaks exposé in 2015 – could pay the salaries of 800 nurses for one year. When taxes go unpaid due to widespread avoidance by wealthy individuals and companies, government budgets feel the pinch – the coffers are drained when it comes to investing in healthcare, schools and infrastructure. But universal and affordable public services are vital to lifting people out of poverty and it is the poorest, unable to afford ‘to go private’ who suffer the most when they are not provided by the state. There is no getting away from the fact that the big winners in our global economy are those at the top and the gap between them and the rest of society is widening. Earlier this year, our research showed that just 62 billionaires own the same wealth as the poorest half of the population – so few they would fit onto a coach from Belfast to Dublin. This elite group has become more exclusive over the years – falling from 80 members last year and 388 as recently as 2010. Our economic system is heavily skewed in the favour of the wealthiest, and arguably increasingly so. Far from trickling down, income and wealth are instead being sucked upwards at an alarming rate. Once there, ever more elaborate tax dodging and an industry of wealth managers ensure that it stays there, far from the reach of ordinary citizens and their governments. All governments, rich and poor, must work to end tax dodging because it is their citizens – their electorate – who are the biggest losers. They need to fix the system and penalise banks and any others who facilitate tax dodging. Ahead of the Irish general election in March, an Oxfam Ireland survey conducted nationwide found that 82% of people agreed that measures to specifically address tax dodging needed to be a priority for the incoming government and Taoiseach. The survey also showed growing concern in relation to large-scale tax dodging with 86% of Irish people believing that big companies and wealthy individuals are using tax loopholes to dodge paying their fair share of taxes. The global tax system clearly does not serve the citizens of the world and this must change. Real transparency is needed – for example, establishing public registers of the beneficial owners of all companies, foundations and trusts (so governments know who really owns and benefits from them and can tax them accordingly). We also need to know where companies really make their profits and where they are paying their taxes. This would allow countries to fairly tax multinationals where their profits are. To achieve this, a simple solution is on the table. Country-by-country reporting, as it is called in tax jargon, would require multinational companies to publish exactly this information. Some countries including Ireland have said they will implement it but this information won’t be made public. This is a crucial flaw – because if the information remains confidential between tax authorities, the public and civil society won’t be able to hold multinationals to account for their tax practices – and developing countries won’t be able to scrutinise the global tax arrangements of multinationals operating in their territory. As political leaders in Ireland continue to engage in discussions on government formation, the measures Ireland can take to assist in the reform of the global tax system should be part of the agreement of any progressive Programme for Government. Jim Clarken is CEO of Oxfam Ireland. Listen back to Jim Clarken's interview on the Panama Papers on RTÉ Radio 1's Morning Ireland, 4 April 2016. As voters in the Republic of Ireland prepare to go to the polls on Friday February 26th, a new survey by Oxfam Ireland has found that 8 out of 10 (81%) people want politicians to make inequality a key issue in the general election. 82% agree that the next Taoiseach should prioritise tackling inequality in the new programme for government, specifically addressing tax dodging, equal pay and access to healthcare. This widespread opinion stems from the broader concern that Ireland is becoming a more unequal place – the survey revealed almost 8 out 10 (79%) of Irish people believe the gap between the richest and the rest of society is widening. The Empathy Research nationwide survey was launched today at the Make Equality #1 pre-election event hosted by Oxfam Ireland and the National Women’s Council of Ireland (NWCI) and was chaired by economist David McWilliams with general election candidates Lorraine Clifford-Lee (Fianna Fáil), Carol Hunt (Independent Alliance), John Lyons (Labour), Eoin Ó Broin (Sinn Féin) and Bríd Smith (Anti-Austerity Alliance–People Before Profit) debating economic and gender inequality. You can listen to the full 'Make Equality 1' debate below. 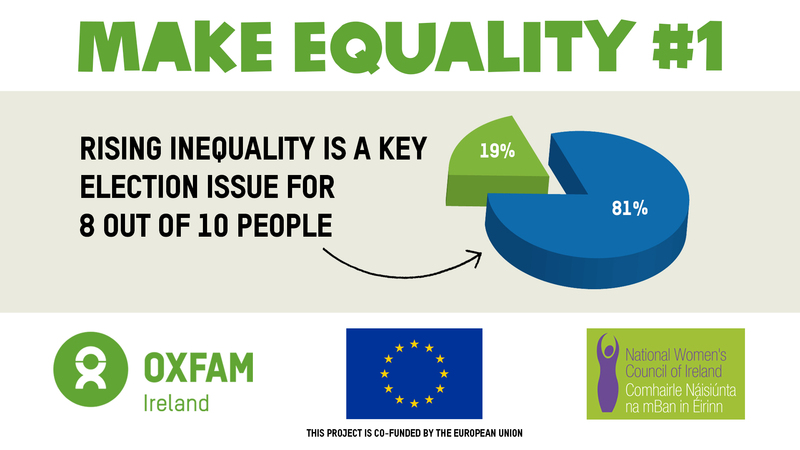 Oxfam Ireland Chief Executive Jim Clarken says: “This survey confirms that rising inequality is clearly at the forefront of Irish people’s minds as they prepare to go the polls. We live in a world where the richest 1% own more wealth than everyone else put together. Ordinary working families are up against odds that are impossible to beat and poorer people are paying the biggest price for rapidly increasing inequality. “Every day Oxfam works to close the inequality gap from the bottom up by helping people to lift themselves out of poverty. Today, along with the people of Ireland, we demand more action in closing the gap from the top down too, tackling a toxic tax system, ensuring quality services for all and closing the gender pay gap. Director of National Women’s Council of Ireland Orla O'Connor says: “NWCI are calling on the next Government to prioritise equality budgeting and serious investment in public services. Tackling violence against women, delivery of quality health and maternity services, and providing a universal pension are all essential for women’s equality and all dependent on the resources being invested. There is a real danger that parties which focus on short-term tax cuts will not be in a position to deliver that investment. 84% of Irish adults believe that women in Ireland being paid over 14% less than men is unfair – with women stronger in this belief than men (92% vs. 74%). The NWCI is calling for an end to the gender pay gap to be named as a goal within the new programme for government. The survey also shows growing concern about large-scale tax dodging with more than 8 out of 10 (86%) of Irish people believing that big companies and wealthy individuals are using tax loopholes to dodge paying their fair share of taxes. 83% agreed that tax dodging means vital public services like schools and hospitals in Ireland and across the world are suffering. Our 'Richest 62' stat hit a nerve last week and got the whole world talking. From journalists and economists to celebrities and the US Vice President - here's a selction of tweets which show just how far and wide the news about our shocking report on inequality travelled. "..and for me, obviously you know inequality is a priority" - Enda Kenny speaking at the World Economic Forum in Davos. All this talk must be backed up with action. Sign our petition now for a fairer Ireland and a fairer world. Imagine a tax haven, and you might imagine an island with palm trees, yachts and pristine white sands. Some tax havens look like this, some are less glamorous. But however they look on the surface, underneath a very different picture can be found. Tax havens are at the heart of a global system that allows multinational companies and wealthy individuals to avoid paying their fair share while 896 million people worldwide are trapped in extreme poverty, and seven out of ten people on the planet now live in countries where economic inequality is worse than it was 30 years ago. Tax havens deprive governments of the resources they need to provide vital public services, like health and education, and to tackle rising inequality. While the super-rich benefit vastly from this global system, its devastating impact can be felt in some of the poorest communities in the world. When we met him, Morgan said he thought he was five years old but he wasn‘t sure. 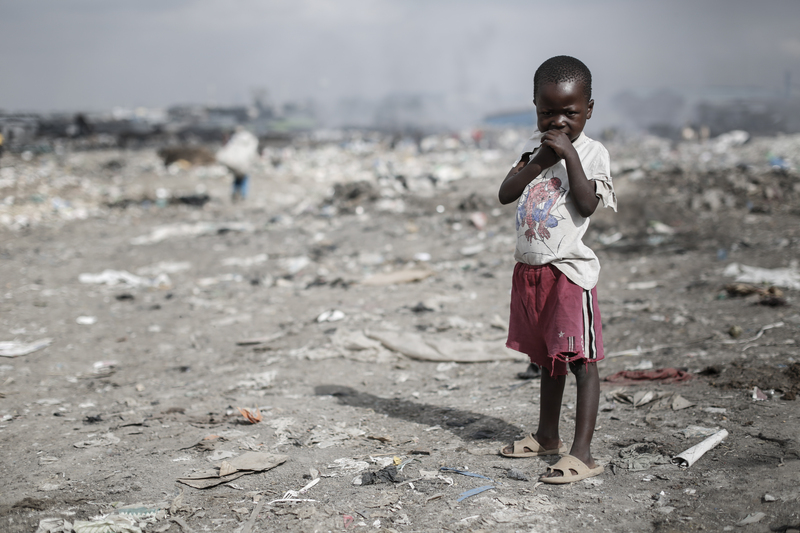 He was playing at a dump in the Mukuru slum in Nairobi while his mother worked, sorting through the rubbish. The local children often come here to scavenge for food scraps, or work alongside the adults. Morgan told us he wasn‘t at school as his family couldn’t afford it. It’s a huge injustice, especially when you consider that Kenya is the fastest growing economy in Africa. While some progress is being made, too many ordinary people aren’t seeing the benefit. In fact, around 34% of Kenya’s population live in extreme poverty. According to the World Health Organisation, there is only around two doctors for every 10,000 people . And for the people of the Mukuru slum, even basic services like sanitation, water and education are scarce. 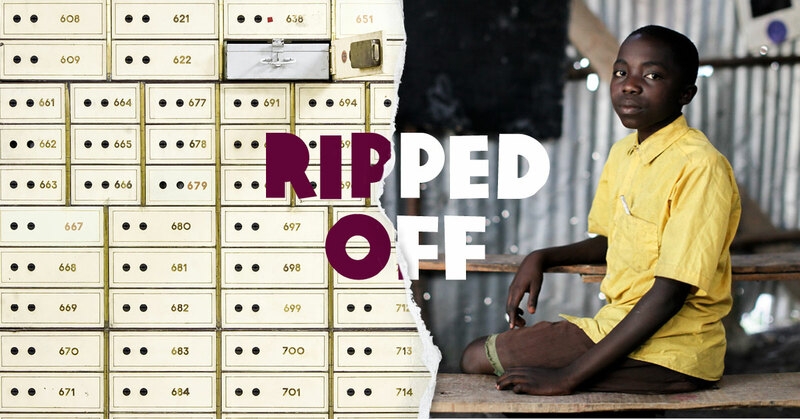 In February 2015, leaked files revealed that a small number of rich individuals connected to Kenya were stowing away around $560 million in bank accounts in Switzerland. This is hidden, untaxed wealth - revenue that Kenya’s government needs to ensure that children like Morgan have a future. This is just one example of a huge problem that’s happening around the world, not just in Kenya. The systemic use of tax havens by wealthy individuals and multinational companies is denying the poorest governments hundreds of billions in unpaid tax, and it’s holding back the fight against global poverty and inequality. 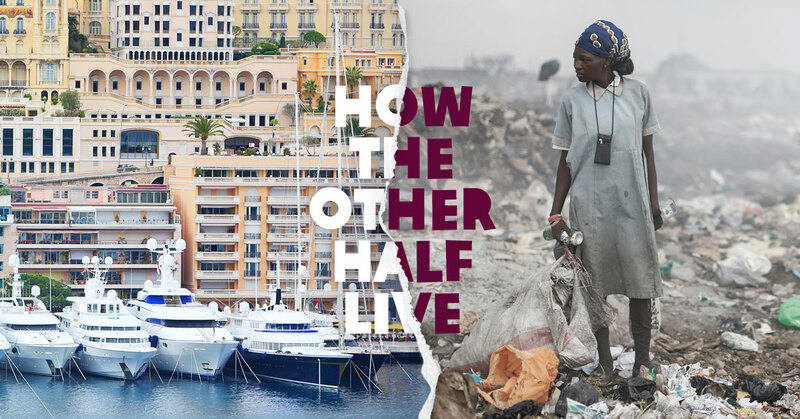 TODAY, JUST 62 BILLIONAIRES OWN THE SAME WEALTH AS THE POOREST HALF OF THE POPULATION. 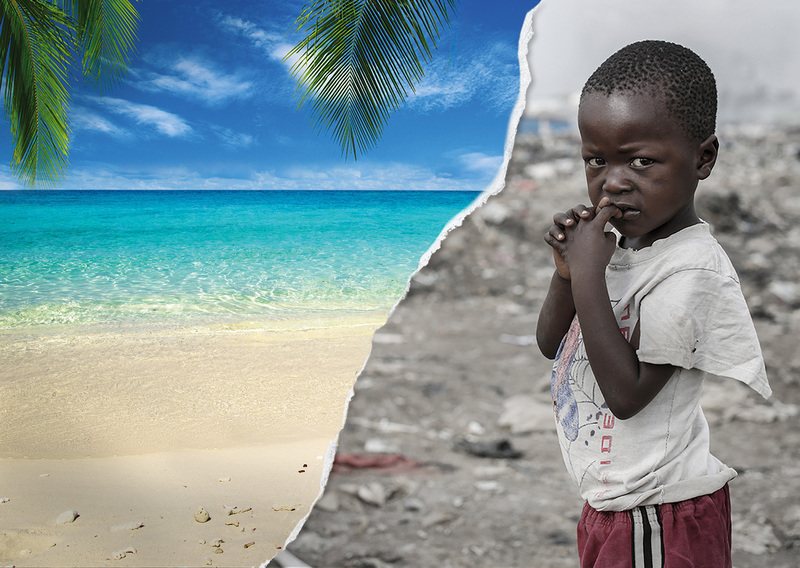 Every year, the gap between rich and poor gets even wider – and it’s being fuelled by the use of tax havens. As much as $7.6 trillion of personal wealth is being hidden in offshore accounts, and it has a devastating impact on poorer countries. As much as 30 percent of all African financial wealth is estimated to be held offshore, costing an estimated $14 billion (approx. €12.9bn/£9.7bn) in lost tax revenues every year. This is enough money to pay for healthcare for mothers and children that could save 4 million children’s lives a year, and employ enough teachers to get every African child into school. Then there are the vast profits made by corporations and stored in tax havens. While rich individuals can hide their wealth in tax havens, multinational companies can use them to shift profits from the countries where they do business. It‘s estimated that tax dodging by multinational companies costs the world’s poorest countries at least $100 billion every year. Barbara is a widow. 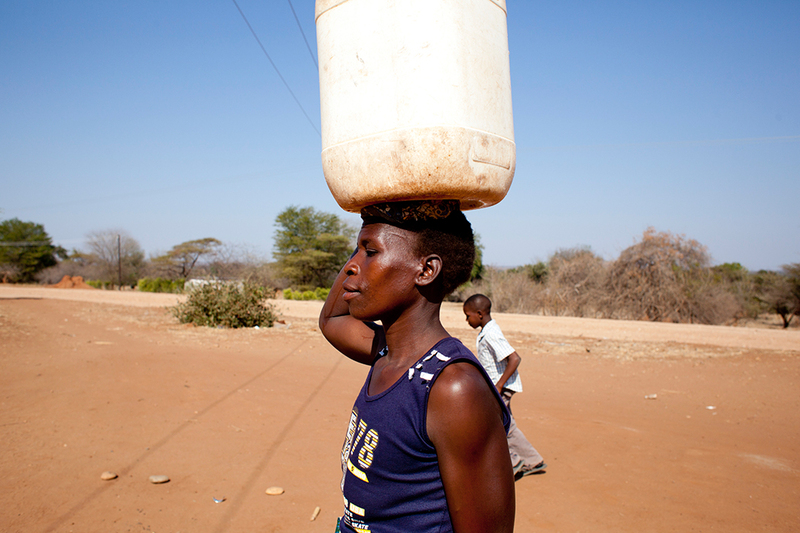 She spends hours every day walking to collect water for her crops, so she can feed her two children. And when her husband was alive, she had to sell livestock to pay for his care. She never had the chance to go to school. If she had, she would have liked to be a nurse or a teacher. Barbara told us she felt like “a lost person”. But Barbara knows that things could be different. If everyone paid their fair share of tax, we could have a chance to meet the basic needs of people living in poverty, give them control over their own lives and the opportunity to change their futures. Every day, kind and generous people are doing what they can to help change things for people facing poverty - and great strides are being made. 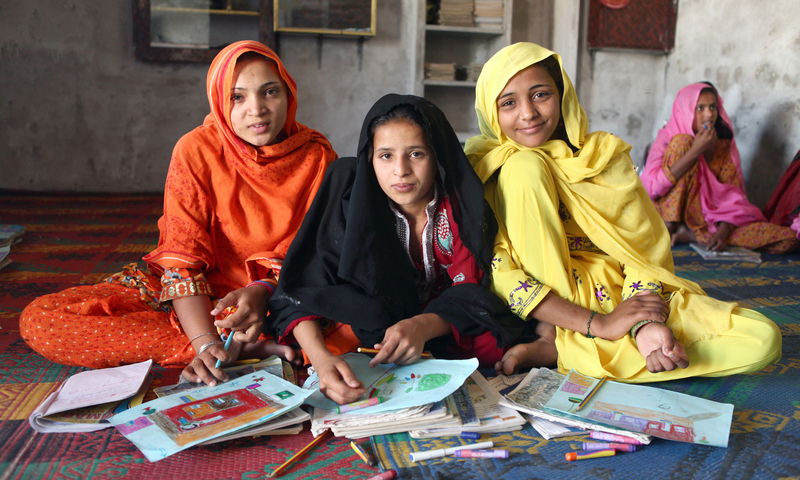 In fact by 2030, we can end extreme poverty completely. To achieve this, we need a powerful and practical response. We need to make sure economic growth benefits the poorest people. If we’re going to end extreme poverty, we need to make sure global tax rules work for the many - not just the few. We all need to be part of the solution. 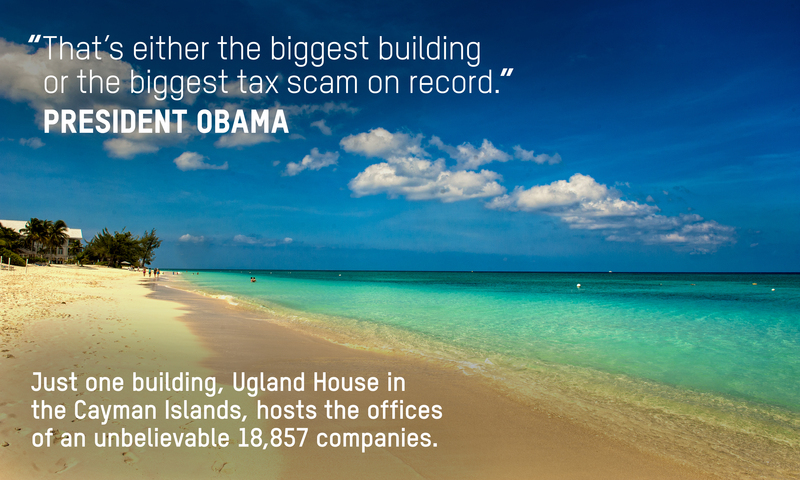 And you can help right now, by signing a letter to the government calling for an end to tax havens. It’s time for change. Did you hear the one about 62 billionaires with the same wealth as half the world? When one talks about 62 billionaires on a bus with the same wealth as the poorest half of the global population, it may sound like the start of a surreal joke – a bad one, with no punchlines and no laughs, except for the privileged few. That’s because the world has become a much more unequal place and the speed of the runaway inequality bus is accelerating. Although world leaders have increasingly talked about the need to tackle inequality, and in September agreed a global goal to reduce it, the gap between the richest and the rest has widened dramatically in the past 12 months. We now have a world where 62 people – so few they would fit on a single coach – own as much as the poorest half of the world’s population. This number has fallen from 80 last year and 388 as recently as 2010. The wealth of the richest 62 has increased by more than half a trillion dollars to $1.76 trillion (approximately €1.62/£1.22tr.). Meanwhile, the wealth of the poorer half of the world has fallen dramatically by 41% since 2010, despite the global population increasing by around 400 million people during that period. 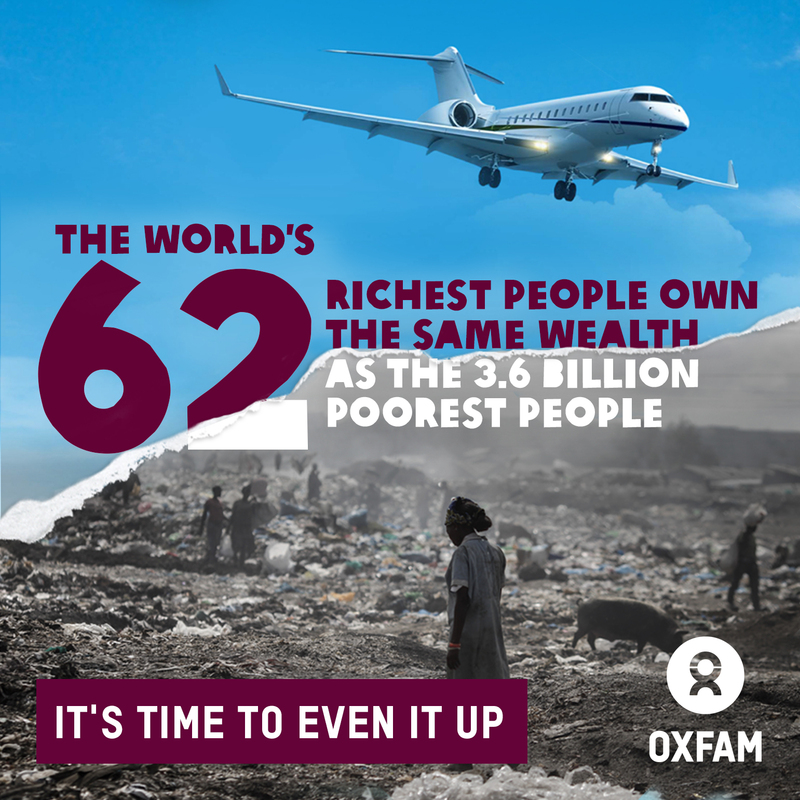 These shocking statistics are highlighted in a new Oxfam report, An Economy for the 1%, which has been published ahead of this week’s annual gathering of the world’s financial and political elites at the World Economic Forum in Davos, Switzerland. Oxfam’s prediction – made ahead of last year’s Davos – that the 1% would soon own more than the rest of us by 2016, actually came true in 2015, a year earlier than expected. Poorer people are paying the price of rapidly increasing inequality. Far from trickling down, income and wealth are instead being sucked upwards at an alarming rate. Rather than an economy that works for the prosperity of all, we have instead created a global economy for the 1%. Ordinary working families are up against odds that are impossible to beat. The big winners are those at the top and our economic system is heavily skewed in their favour. Power and privilege allows the richest individuals and companies to write the rules of the economic game to avoid paying their fair share to society. An elaborate system of tax loopholes and an industry of wealth managers ensures that vast wealth stays untaxed, far from the reach of ordinary citizens and their governments. This potential tax revenue is needed to pay for vital services like schools and hospitals; the services which play a vital role in tackling inequality and escaping poverty. It means governments keep putting their hands in the pockets of ordinary taxpayers to pay for the shortfall – many of whom can least afford it. Oxfam analysed more than 200 companies, including the world’s biggest and the World Economic Forum’s strategic partners, and has found that 9 out of 10 companies analysed have a presence in at least one of 10 jurisdictions classified by the report as the most aggressive for tax avoidance, a list that includes Ireland. It is estimated that tax dodging by multinational corporations costs developing countries at least $100billion every year. Globally, it is estimated that a total of $7.6tr of individuals’ wealth sits offshore (i.e. is deposited in low-tax jurisdictions) – a twelfth of the total. If tax were paid on the income that this wealth generates, an extra $190billion would be available to governments every year. Just consider how that money could help the vulnerable poor in a country such as Malawi, for example. Video below: Hear a nurse and teacher in Malawi speak about their daily challenges to help patients and pupils. Because despite growing wealth among the urban elite over the past seven years, Malawi – one of the world’s poorest countries with seriously under-resourced health and education systems – has also seen inequality increase. As well as a crackdown on tax dodging Oxfam is urging world leaders to increase investment in public services and act to boost the income of the lowest paid. 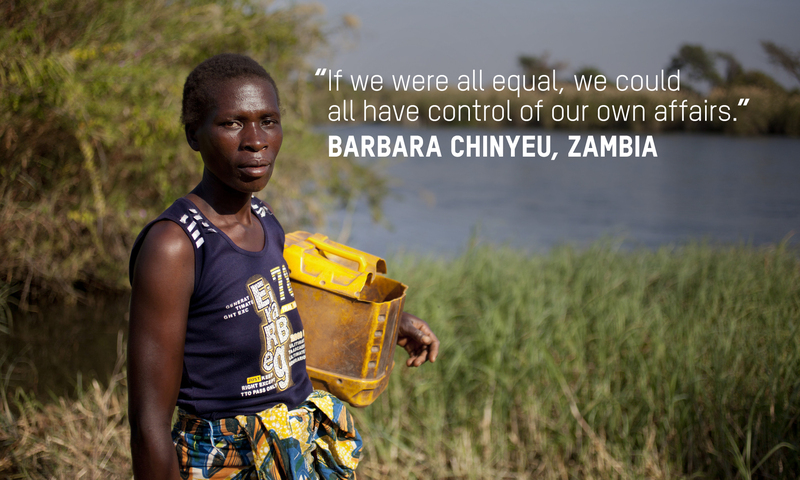 The new Oxfam report shows how women globally are disproportionately affected by inequality – of the current ‘62’, 53 are men and just nine are women. 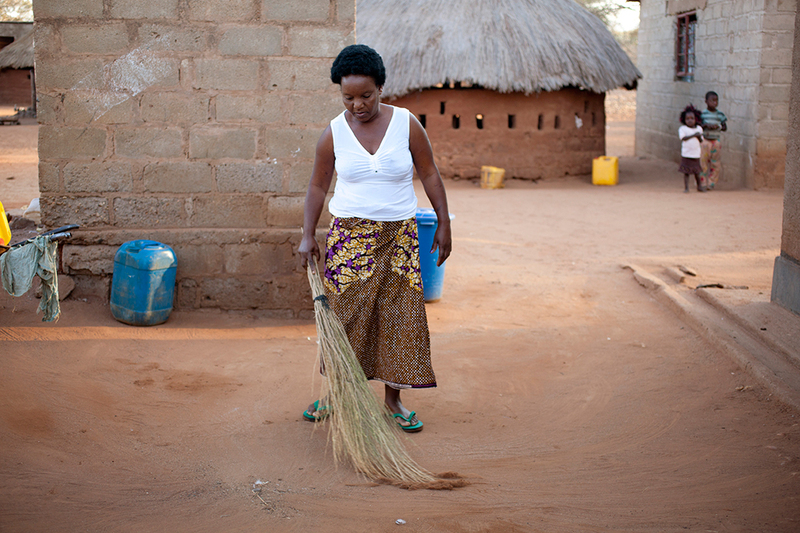 The majority of low paid workers around the world are women. Oxfam Ireland is also calling on our politicians to do more to end the gender pay gap that sees that sees women earn less than men (almost 14% in the Republic of Ireland; 12.5% in Northern Ireland). It is time our politicians take note and reject this broken economic model. We cannot continue to allow hundreds of millions of people to go hungry while resources that could be used to help them are sucked up by those at the top. Inequality is not inevitable. Inequality is the result of policy choices. We need our leaders to tell the 1% that the 99% and particularly those struggling to make ends meet here and overseas have had enough. Oxfam is calling for urgent action – a crackdown on tax dodging, increased investment in public services and action to boost the income of the lowest paid – to tackle the inequality crisis and reverse the dramatic fall in wealth of the poorest half of the world. As a priority, Oxfam is calling for an end to tax dodging which has seen increasing use of offshore centres by rich individuals and companies to avoid paying their fair share to society. This has denied governments valuable resources needed to tackle poverty and inequality. With 2016 being an election year throughout Ireland, north and south, Oxfam is calling on election candidates to prioritise inequality and inviting voters to join its campaign calling on politicians to tackle tax dodging, roll out universal access to healthcare and end the gender pay gap in their respective new programmes for government. Sign up to our Even it Up campaign here. Jim Clarken is Chief Executive of Oxfam Ireland. Follow him on Twitter here. Read more about Did you hear the one about 62 billionaires with the same wealth as half the world?